Internal: It may be tempting to let your team dive straight into conversations without first consulting your sales team. We don’t advise that for several reasons. First, there may be sensitive topics with a given prospect/customer. Second, and perhaps more importantly, your sales group has useful background on the account which will allow you to be more efficient with the interviewee’s time. Make sure that your sampling of accounts includes a mixture of wins, losses and no decisions. Additionally, it should cover a variety of products from the portfolio and customer types (size, vertical, geography, etc.). More recent transactions are better. The age of the transaction should align with the product sales cycle (i.e., if the sales cycle is 60 days that is probably the maximum age of a transaction. If the sales cycle is 18 months or longer, approximately 6 months is the maximum). External: Your team member should be courteous, but also persistent. Two emails and a couple of voice messages are appropriate. He or she may need to enlist the help of the sales person who has already developed rapport. Have your product managers explain that the purpose is to learn from their experience and help your organization improve its process and products. While it’s important to prepare, set a deadline for when outreach will begin. If not prioritized, the roll out of your win/loss analysis program can drag on. This survey should be designed to take no more than 10 minutes and include 3 basic categories of questions: 1) information about the interviewee, others involved in the decision, and the problem they were trying to resolve; 2) the process they used find, evaluate, and select a vendor; and 3) how your company and solution stacked up against the competition and their expectations. A useful exercise is to have your team brainstorm a list of questions they hope the program will help them answer. Examples: what are the most important product features? How are we perceived relative to competitor A or B? Then they can be sure to include questions that will address those items. Step 3 – Interview If you don’t ask the question, you’ll never know the answer. Before diving into questions, it is important for your team member to build rapport and express appreciation for the interviewee’s time. He or she should reiterate the purpose of the conversation and take a moment to probe about any confidentiality concerns the customer/prospect may have. The default intention should be to share the feedback openly within your company, but the interviewee may have reservations about sharing their answers re: certain topics. Honor their wishes. The feedback received via the survey will help your interviewer steer the conversation. He or she may find it helpful to follow the flow of the survey, asking for clarification or additional details. The “live” telephone interview will allow your product manager to get more candid answers than those shared in the survey responses. How was the relationship with your company’s sales team? How did our pricing stack up relative to the competition? What advice would they give your company for working with them in the future? If your team doesn’t ask, you’ll never know the answer. Coach them to capitalize on the opportunity by being direct. To avoid becoming defensive about criticism, your interviewer should behave as though they are from a neutral, 3rd party organization. Step 4 – Analyze Now what? How to translate the information into useful input to your product plans. The data gathered from the survey and interviews will be largely qualitative. Your team will have to review notes and responses in order to glean useful information. With enough interviews, patterns will appear. Similar comments, issues or decision factors can be grouped together. They should see how well the data can answer the questions they brainstormed in step 2. What features are most important? How do we stack up relative to top competitors? Does behavior or perception vary by some factor, like customer industry or size? Initially, you won’t have enough data points to provide statistically significant answers (although experts contend that sample sizes don’t need to be that big). Don’t let others in the organization dismiss the value completely. Remember to ask the simple, straightforward questions: how did you hear about us? Why did you select (or not select) us? Organizing the information into visuals like pie charts and bar charts will provide valuable insight and help you communicate those to others in the organization. 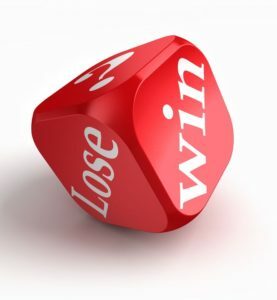 The benefits of implementing a win/loss program are indispensable: improve competitive positioning, better understand buyer perceptions, validate product gaps and/or opportunities, and more. Use the four steps we outline here. Persist in the face of any internal resistance you may receive from your sales team. And recognize that the information you gather will require the expertise of you and your team to interpret.